Though The Timebuilders: Pyramid Rising is a quite standard time management game, there are some features that I would like to focus your attention on. Though The Timebuilders: Pyramid Rising is a pretty standard time management game, there are some features that I would like to focus your attention on. One of the features is 40 levels in one mode; levels are timed but it is really difficult to fail. 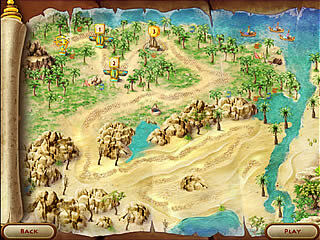 Moreover, if you complete the level earlier than time's up, you will be rewarded with a golden scarab. Each reward enables you to built a new part of your city in a specially original way. Don't miss a chance to make your city unique and thus best ever! As in all time management games you will have different goals at each level: to build houses, huts, get stones out of the way, and have negotiations with bandits or traders. As for the buildings there are only three types of them and they don't look like very different. By the way, the amount of houses you can build is limited at every level. So you won't be able to make your rich fantasy come true a lot. Your villages will be quite standard at each level. After completing the village at each level, a house will be added to your city. Thus, each level of the game is a new house in your city! There is also a market where you can change stones into gold and then use in different ways – to pay workers for their job or buy inventory for updating your buildings or workers speed. And you can hire two types or workers in The Timebuilders: Pyramid Rising: those who will have negotiations at market and those, who will build and update houses in the village. 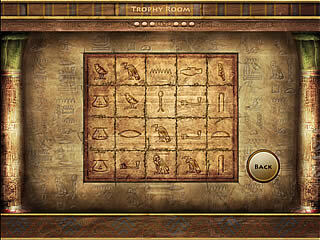 I can say that the The Timebuilders: Pyramid Rising with its amazing atmosphere of ancient Egypt, its beautiful music and graphicsi s one of the most intriguing time management games, I have ever played. So, will you be able to rebuild the country and bring hope to the people of Egypt in The Timebuilders: Pyramid Rising, a fun time management game? This is The Timebuilders: Pyramid Rising for Mac OS review. 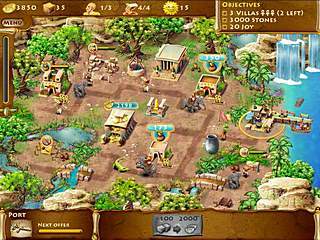 Download this game here.